The Next Scripts Network Auto Poster is a piece of software that has been designed specifically to allow individuals to contact all of their friends and followers with one simple click across every social media platform out there. Built-in to all of the major networks (as well as most of the minor ones) using advanced API libraries and PHP technology, this particular script gives individuals, businesses, and organizations the chance to reach out and contact everyone that they are affiliated with on social media across every network available. This is a powerful marketing tool when used appropriately, and can also be used as an alert or messaging mechanism for those that need to get the word out fast. 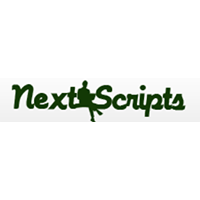 For most up to date offers check out Next Scripts on Facebook and Twitter or contact Next Scripts Support for any questions.